Nanotechnology – A miniature scale evolution for a “Commercial revolution” ! The technology is revolutionizing every industry, while tremendously attracting worldwide attention. Owing to its wide range of uses, the global nanotechnology market is expected to grow at a CAGR of around 17% during the forecasted period of 2018-2024. Nanotechnology continues to have a broad and fundamental impact on nearly all sectors of the global economy, namely electronics, energy, biomedical, cosmetics, defense, automotive and agriculture among others. The global nanotechnology market is expected to exceed US$ 125 Billion mark by 2024. A global reach which assembles top notch industrialists, business professionals, academicians and student researchers to provide an insight on this blooming technology which will be at our fingertips within the next decade or two. The opportunity of nanotechnology research became substantial and several, So, through Nanotech Forum 2019 we plan to discuss Nanotechnology, among all its challenges and possibilities, for a sustainable future. Be a part of the voyage to Swiss and take the privilege of attending it. Ph.D. Laser Physics, Cairo University, Egypt (the experiment part and data collection done at TU, Munich, Germany) 2000. M.Sc Laser Physics, Cairo University, Egypt 1996. B.Sc. Physics, Cairo University, Egypt 1992. My research plans are devoted to ultrafast optics and photonics: nonlinear interactions of short laser light and matter using time-resolved spectroscopy for laser-pulse durations from nanosecond to few-cycle. The ultrafast pulses are characterized using autocorrelator, SPIDER, and FROG measurements. The studies include the application of laser-induced breakdown spectroscopy (LIBS) used in the field of analytical spectroscopy and plasma characterization, in addition to ultrafast nonlinear phenomena due to propagation of ultrafast pulses in nonlinear medium and how the interactions can be exploited for improved material characterization. The prospective plans aim to reach attosecond streaking to study transient absorption spectroscopy of ultrafast electron motion. Dr. Yougui Liao has extensive experience in research of various nano-materials and functional structures and material characterization. He has especially worked on characterizations of various IC devices and materials using electron microscopes. InnoPhysics BV is an OEM focused at plasma assisted CVD /ALD surface patterning for use in life sciences, diagnostics, thin films , lab-on-chip and printed electronics. Core technology is proprietary and based on atmospheric pressure microplasma patterning patents . Experience in micro-nano-fabrication, electron-beam lithography, focused ion beam lithography, nanoimprinting, thin-film deposition and plasma etch. Experience in nanophotonics, plasmonics fabrication and characterization, and the development of new lithographic tools and processes. Recently I'm focused on the so called Single Digit Nano Fabrication, or exact fabrication of nanostructures with dimensions below 10 nm. My research creates engineered nanodevices for the control of the light at nanometer scale. Using the properties of plasmonic resonators as well as the properties of transparent dielectric photonic devices we study new effects of the light confinement and propagation. Coordinator of the Biotechnology and Nanotechnology Commission of the Professional Council of Agronomists - CPIA. 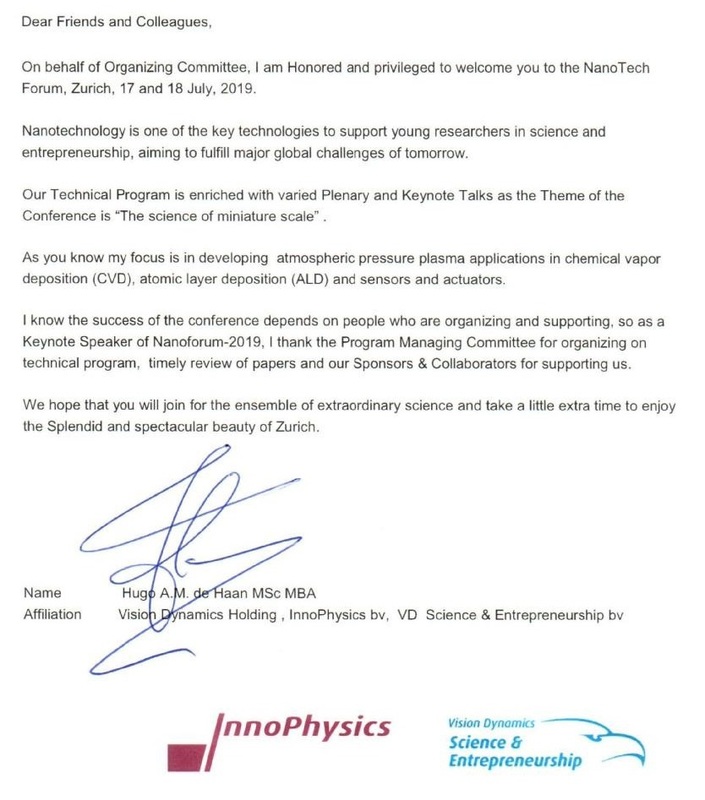 Associate Editor of the Journal of Nanotechnology, Nanomedicine & Nanobiotechnology (USA) Creator and director of the first Degree in Nanotechnology of Argentina (CAECE University-2017). Creator of the online newspaper Biotechnology & Nanotechnology Instantly. 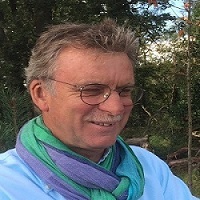 Michel A. VAN HOVE is Director, Institute of Computational and Theoretical Sciences, and Chair Professor, Department of Physics, Hong Kong Baptist University, Hong Kong. He holds a BSc in Physics of the Federal Institute of Technology (ETH), Zurich, 1969. Ying-Chieh Lee is currently a Professor of Materials Engineering, at National Pingtung University of Science and Technology, Taiwan. He earned a B.S. in Materials Science from the Feng Chia University, Taiwan in 1990, and a Ph.D. in Materials Science.